“I am not a very physical person. I think if I punched a fly, I’d break my fist. 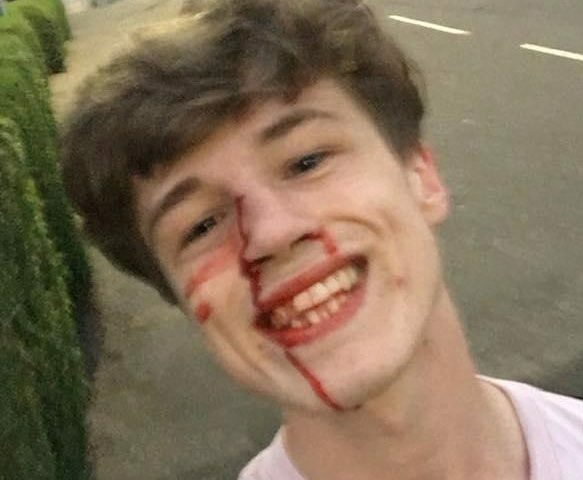 I don’t really do fighting.” Earlier this year Blair Wilson was targeted in a violent homophobic attack and left with a black eye and blood running down his face. 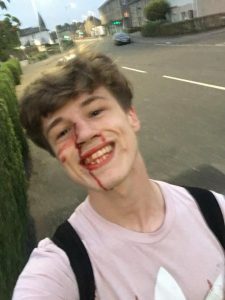 But within minutes of the assault he posted a defiant selfie on social media which has received widespread acclaim. CLICK HERE to read more from bbc.com. CLICK HERE to see his reaction to today’s announcement that Scotland will become the first country in the world to introduce LGBT+ education into school curriculum.